Last year, I ran a contest to predict which summer movie would perform the best. With summer fast approaching, now it’s contest time again! The Prize: A pair of AMC movie tickets. How To Enter: Leave a comment here or on FriendFeed with your prediction for these four questions. Which of the below 33 films will have the biggest U.S. box office opening weekend as determined by The Numbers? Which of the below 33 films will have the highest Rotten Tomatoes score? Tiebreaker: How much money will the correct answer to question 1 take in on its opening weekend in the U.S.? Deadline to Enter: Monday, May 3, midnight Pacific. It’s a much more crowded field this year than last year, packed with the predictable assortment of sequels and remakes. Some curiosities: Two SF films with Adrien Brody within a few weeks of each other? A-Team vs. Karate Kid on the same weekend? Such a crowded field means there are probably going to be a lot more money-losers this year. Just as before, I’m leaving off a lot of films that are coming out this summer. And some of those not on the list will probably do better than some of the 33 I’ve listed above. But to keep things simple, let’s just consider these 33. Gory Details: I will pull all data from the appropriate web sites on Labor Day, 2010. Each entrant will score one point for each correct answer to the first three questions, with a maximum of three points possible. Highest point total wins. In the event of a tie for highest point total, I will use the answer to question 4 as a tiebreaker. Closest to correct wins. Back on April 22, I posted a contest to predict the Summer box office champ. Just as a reminder, I picked one movie from each of the 18 weeks of the Summer movie season (between Memorial Day and Labor Day). Entrants had to guess the movie from that list with the highest opening weekend U.S. box office, the highest worldwide box office as of Labor Day, and the highest Rotten Tomatoes score. 18 Summer movies plotted to show U.S. box office for opening weekend (blue line), worldwide box office (green bars) and Rotten Tomatoes score (red triangles); data from The Numbers (as of 9-10) and Rotten Tomatoes. Click to enlarge. U.S. Opening Weekend Box Office: Transformers 2 with $108,966,307. Second place was Wolverine, but it wasn’t even close; Wolverine took only $85 million in its first weekend. Worldwide Box Office: Harry Potter 6 with $917,436,218. Rotten Tomatoes score: Up with 97%. Star Trek was close with 95%, and third was Inglourious Basterds at 88%. I didn’t give District 9 nearly enough credit. With an unknown director and actors, and scant plot details available at the time I made the contest, I didn’t pick it as one of the 18. If I had known about Final Destination 4 changing weeks, I probably would have selected District 9 anyway, but as it was I made a bad call. District 9 out-performed about half the films on the list, but wasn’t close to the top, so it didn’t ultimately matter. The worst performers of the 18 movies were Halloween 2 (taking both the lowest opening weekend and also lowest worldwide box office, although it has had less time than the other movies for that latter metric) and Year One, for worst Rotten Tomatoes score (16%). The three that performed the worst on the three metrics when combined were Land of the Lost, Year One, and Halloween 2. There’s a good correlation between U.S. opening weekend box office and worldwide box office: r = 0.79. There’s very little correlation between Rotten Tomatoes score and either U.S. opening weekend box office (r = 0.15) or worldwide box office (r = 0.11). 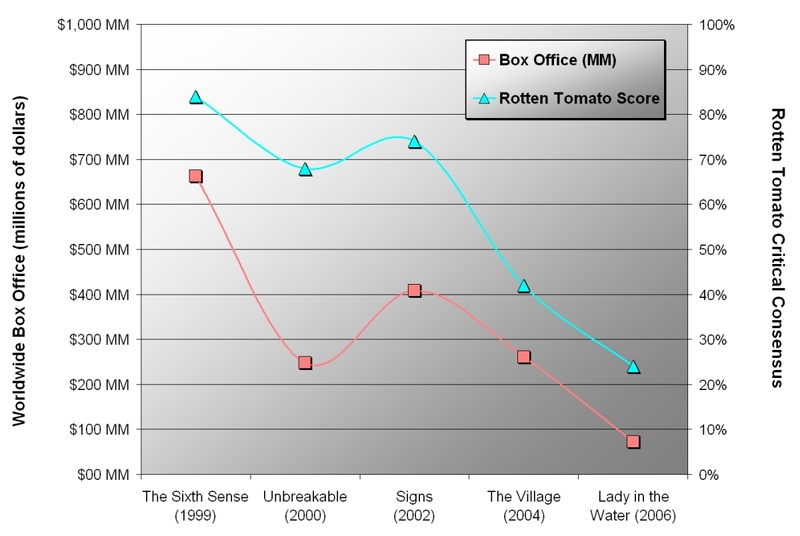 Some movies with bad reviews, such as Transformers 2, did very well, while some movies with good reviews, such as Inglourious Basterds, did relatively little business. Looking at production budget data from The Numbers, the three most expensive films to make were Harry Potter 6 ($250mm), Transformers 2 ($210mm), and Terminator 4 ($200mm). The three cheapest to make were Year One ($60mm), Brüno ($42.5mm), and Halloween 2 ($15mm). Only three films lost money: Land of the Lost (lost $35.4mm), Funny People (lost $12.2mm), and Year One (lost $2.4mm). In terms of percentage of investment return, Ice Age 3 pulled in an impressive 846% return, Harry Potter 6 returned 267% of the production budget, and Angels & Demons returned 223%. So, who won the contest and can claim the free movie tickets as a prize? 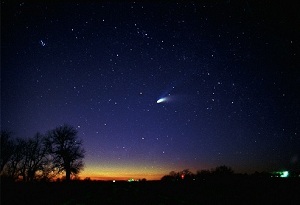 Twelve people entered the contest. For the first question, only Dave Zatz guessed the correct answer of Transformers 2, with some sterling analysis in his comment where he correctly pointed out that the first movie did enormous business worldwide despite being horrible. For the second question, nine of the twelve entrants correctly identified Harry Potter 6; the franchise has always done well worldwide. For the third question, four commenters (Dave Z., Lani S., Ken G., and Jim G.) correctly predicted that Up would have the highest Rotten Tomatoes score. In the comments, I identified that the bonus question — who would win in a fight? — would be used as a tie breaker. So, with the highest score for creativity, winning the two free movie tickets is Ken G. Congrats, Ken! Twenty-five years ago, when I was in high school, there was no desktop publishing. Before the age of laser printers, the best home printers were dot matrix, and the best home computers running the best word-processing software could only barely handle “What You See Is What You Get.” If you wanted something printed professionally, you took it to a typesetter working with equipment large enough to fill a small room. Fast forward a mere five years, and laser printers combined with better software produced the desktop publishing revolution, which meant that any mom’n’pop store owner could create professional signage in minutes, and even the “Lost Cat” sign on a nearby lamppost uses professionally-kerned fonts surrounding a high-resolution image of the wayward kitty. Over the last few years, something similar happened to film-making. Digital imaging, lower prices for HD cameras, and readily-available high-quality editing software means that dedicated fans can produce a product that passes for much more than a home movie, rivaling productions that cost professionals a million dollars or more to produce. The secondary market then also expands, and you get things like Indy Mogul, a video blog dedicated to uncovering the secrets of independent film-making (with a particular emphasis on practical effects). Film-making of any ambition is never simple. Locations, sets and set decoration, props, script, music, sound effects, actors — and acting!, costumes, make-up, hair, special effects, practical effects, and editing are required — and that’s a lot to coordinate, plus a lot to pay for. (Online productions also have to contend with file formats, web hosting, a web site, and even piracy.) But what was previously only available to a Hollywood studio is much more attainable for ordinary people — in particular, fans. Time and enthusiasm must substitute for big budgets. Fans will make films about things that interest them, and for a lot of us who work with computers, we’re interested in Star Wars, Star Trek, Batman, and Middle Earth. Placing a fan film in a known universe is a double-edged sword. On the positive, it means there’s a ready-made audience, and you don’t have to spend as much time in your film on back-story or setting the scene. On the negative, the chance of making any money on these productions is extremely limited, since the intellectual property is not owned by the fan film-makers. And some productions risk possible cease and desist orders while invoking the wrath of the original writers and directors and actors and producers — the very people the film-makers probably admire and want to impress. Here, then, are four ambitious productions that I hope will exceed your expectations if you’re not already familiar with what’s possible from fan film-making. It was 1997 when Troops first appeared, a short film that mashed up A New Hope‘s desert planet of Tatooine with the TV show “Cops.” The success of Troops ultimately ended up in Lucasfilm themselves partnering with Atom films to create an annual award for the best Star Wars fan films. Into that environment, Ryan Wieber and Michael “Dorkman” Scott created two Ryan vs. Dorkman films focusing on light saber battles. Skimping on plot (or any kind of backstory which might explain why a Jedi or Sith would go by the name “Dorkman”) to focus instead on the battle choreography, the ten-minute RvD2 from 2007 is an amazing product. The music alone sets apart this film from cheap home movies. Adding in the creative fighting and the sterling special effects, it’s easy to see why this film has garnered nearly five million views on YouTube. 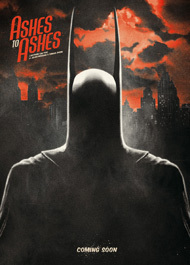 Ashes to Ashes is an 18-minute French film (with English subtitles) made from 2006 to 2008 and released this year. Crossing the look, grit, violence and sexuality of Frank Miller’s Sin City with the staple characters from DC’s Batman, the film takes a bold approach by changing the viewpoint perspective away from what the viewer of a Batman movie might expect. The filmmakers manage to mix in Batman, The Penguin, Harley Quinn and The Joker despite the short running time. The overall trick of recreating the look of Sin City succeeds amazingly well. One warning: Several of the scenes are disturbing. 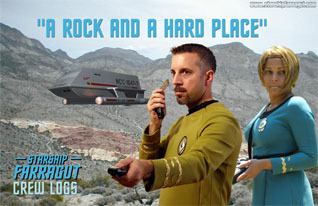 Starship Farragut is clearly a labor of love, with superb production values for props, music, and special effects. Two episodes, each split into an introduction and five acts, and each totaling about 40 minutes, were produced in 2007, earning the crew several awards for best fan film. The attention to detail in recreating the look and feel of the original series of Star Trek is evident in every scene. As a culture, we’re extremely critical of acting, and the actors in the Farragut episodes are clearly not professionals. Some of the delivery underscores the barriers that amateurs have to face when competing against professional productions. (Interestingly, the RvD films avoid this problem simply by giving the actors no lines whatsoever, while Ashes to Ashes makes an end-run around the issue by keeping each scene brief and the lines short and loud.) The stars of Farragut are clearly earnest and engaged, however. Bolstered by the costumes and sets, they carry themselves well to make an overall presentation that’s enormously fun. The space battle scenes in particular rival what was done by the Paramount productions. The Hunt for Gollum is a 34-minute production (40 minutes with credits), released in May of this year, set in J.R.R. Tolkien’s Middle Earth — a prequel meant to bridge the gap between what happens in the forthcoming The Hobbit movie and the first of the Lord of the Rings films. NPR’s All Things Considered ran a story on this production back on April 30, focusing on the legal issues. But that story misses what sets this film apart: Its surpassing quality. The acting here, especially Adrian Webster as Aragorn, is top-notch. Even better are the costumes, effects, fightcraft, music, and atmosphere. I’m surprised there hasn’t been more coverage about this film (especially on social media). If you enjoyed the Peter Jackson films at all, I’d say you’re absolutely guaranteed to enjoy this production as well. You’ll immediately recognize what they’re doing, and stills from the real thing fit comfortably side by side with the stills from The Hunt for Gollum. If there’s a criticism, it’s that the whole affair is perhaps too slavish an imitation of Peter Jackson’s vision. That, and some brief outtakes in the final credits seem a bit jarring when presented with the gravity and beauty of the end credits score. But these are tiny quibbles. I cannot recommend this film more highly. Fan films have made tremendous strides in just the last few years. Imagine, then, what a few more years of advances in computers and effects will bring. I have no problem in saying that Hayao Miyazaki is the greatest creator of animated movies. My Neighbor Totoro, Spirited Away, and Princess Mononoke are his best-known works, but there are many more. Currently my son is obsessed with all things Totoro, and that’s not far different from his father. Miyazaki’s son, Goro, is the same age as me, 42. Hayao Miyazaki, to me, is “Zero Marks as a Father, Full Marks as a Director”. My father was almost never at home. That’s why for me, when I was a child, my mother had to fill the place of my father. My father came home every day in the middle of the night, after I had already gone to sleep. He was always very conscientious in this regard – apparently, no matter how late it was, he always made sure that he came home. But almost every Saturday and Sunday he was still at work regardless. That’s why, from my earliest awareness to the present day, I hardly ever had the chance to talk to him. More details appear in Goro’s next two blog posts. In post #41, Goro states that he studied the work of his father closely because that was the only way he could know and understand him. When Goro was chosen to direct Tales From Earthsea based on the storyboards he created, there was a public argument between Hayao and Goro over whether or not Goro was ready to direct. Goro later states in the blogs that he and his father then avoided each other completely. Apparently that rift was mended after the film was released, and the picture above shows sitting Hayao and Goro together. Hayao wrote Goro a note to say that the film was made honestly, and that that was good. It’s easy to fill in the blanks and imagine Hayao as an obsessed workaholic, often absent from home. Many of Hayao’s works deal with children and their relationship with their parents. My Neighbor Totoro, for instance, was completed in 1988, when Goro would have been in college. I don’t know Hayao at all, but it seems to me that the price he paid for releasing such wonderful films was a very steep price indeed. This summer features a surprisingly large number of well-known franchise films competing for your entertainment dollar, despite the great recession. If I were a major studio, I might hold off on some of these, but I suppose they’re gambling that summer movie escapism is recession-proof. 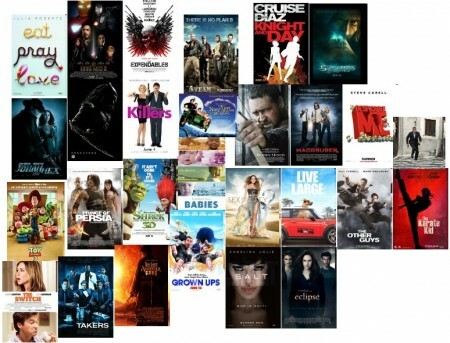 The upcoming potential blockbuster releases are listed below. For each week of summer, I picked the most buzz-worthy film. Predict which of the above 18 films will have the biggest box office opening weekend in the U.S. as determined by The Numbers. Predict which of the above 18 films will have the biggest worldwide box office take as of Labor Day, as determined by The Numbers. Predict which of the above 18 films will have the highest Rotten Tomatoes score. Bonus question: In a fight between the protagonists of the above 18 films, who would win? To enter, just leave a comment here or in FriendFeed. Update 4/25: Prize is two movie ticket passes to the AMC chain. Deadline to enter is April 30th. The first movie I’ve seen in the theater in 2009 is Coraline. A vivid expansion of the 2002 Neil Gaiman book, genius drips off of every hand-crafted frame. If you liked A Nightmare Before Christmas or The Corpse Bride, the creepy stop-motion musicality of those films is propelled further by the 3-D, which is not used just for gratuitous look!-in-your-face!-a-trident! thrills here, but is instead used to enchant and vivify the pocket world of the film. Dakota Fanning manages to make you forget it’s her talking. I knew it was John Hodgman playing the father going in but never recognized him once. Saunders and French are memorable, if brief, in appearance (but should have been given richer lines, I think). The visual vocabulary is enthralling. 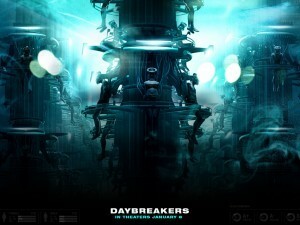 I’m captivated by this film. The haunting choir soundtrack is a perfect match as well. Updating my earlier post, it seems The Happening scored a horrific 20% on the Rotten Tomato meter, continuing the downward trend. It’s too early to tell total box office, but it does look like it’ll do better business than Lady in the Water, and when I substitute opening weekend gross for total box office, you can see that The Happening is playing against trend. 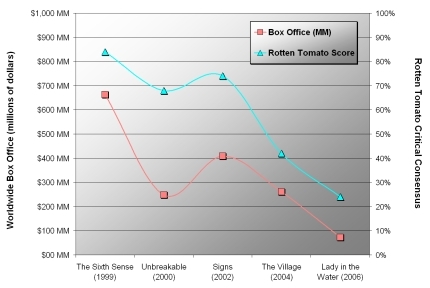 It’s doubtful, however, with ratings like these, that’ll it exceed the total box office for Signs or The Village. We’ve been working hard with the CinemaNow folks to get this ready for you. Keep an eye on your Download TV, Movies, & Web Video menu (under TiVo Central -> Find Programs & Downloads); this new service will arrive later this year. Between CinemaNow and Amazon Unbox, every major movie studio will be available on your TiVo-branded DVR. Personally, my favorite classic Disney movie has to be The Jungle Book. I’ve been reading the book version to Sammy for a few weeks. At some point pretty soon, he’ll be old enough to watch the movie — now I know how I’ll get it to him. This guy’s career needs a twist. Can The Happening beat the trend? Caught Cloverfield last night, after the kiddies went to bed (and after a super great date night where Kimi and I had a wonderful dinner out at Castro Point). Look, this is a really well-made version of The Blair Witch Project reborn as a giant monster movie, and if you get motion sickness at all, the camera work here is going induce severe nausea. It’s basically real-time (playing back the tape of a home movie), and so that means there’s no explanation and less resolution than you might hope for. There’s really less of everything that you might hope for. That said, I thought it was well-acted and exhilarating, unconventional, and even unpredictable (all things I’m really looking for), with first-rate production and special effects — and I’d rather it left me wanting more instead of feeling it had overstayed its welcome. My main complaint is I’m not ready for 9/11 imagery to be reused in a monster movie. Early on, you get the clouds of smoke billowing down New York streets as panicked Manhattanistas take cover. I know this is 2008, over six years from 9/11, but trivializing the terror of that day by co-opting those emotions for a $10 carnival ride of a movie seems reprehensible to me. The movie would not have worked as well set in L.A., but I think Boston or San Francisco or Chicago or London or Paris would have served much better. Sure, the first Aliens vs. Predator (2004) was set on Earth, but it was confined inside some magic temple, so it wasn’t what I was expecting or wanted. And while Requiem isn’t the most tightly-plotted or superbly-acted movie you’ll ever see, I think it’s far more entertaining than any of the others in the series since Aliens, and it really does deliver on the scenario that scared me 16 years ago. This movie does not pull any punches: animals, children, and lead characters are all in jeopardy. There are certainly plot holes in this that defy any ability to suspend disbelief. But if you want to see Aliens attacking a town on Earth with Predators mixed in, and a nice twist (telegraphed by the ending of the previous movie), the action scenes work, the movie is decently crafted with good special effects and a tight pace, and it’s not nearly as bad as the critics say. By the way, Defective Yeti nailed the whole “versus” genre a while back. So Sunday night (after Kimi got her hair cut and hung out in the city that day), I saw the late showing of Beowulf in 3D. This movie is a gimmick wrapped inside a gimmick wrapped inside an enigma. But it does succeed in being entertaining. First of all, it’s computer animated. And the human expressions are, quite frankly, not very good. Robin Wright Penn’s character, Wealthow, is particularly wooden. While brief scenes are photo realistic enough to trick the eye, I was never able to suspend disbelief for long because of the uncanny valley effect. These animated characters aren’t cartoonish enough to be lovable or sympathetic, and they aren’t human enough to pass as realistic. The effect is ultimately as if you’re watching a movie starring stop-motion mannequins. The second gimmick is the three-dimensional effect. I don’t wear glasses normally, so it’s distracting to have to wear the 3-D glasses. And every opportunity that exists for a spear to be thrust in your face or an axe to be hurled toward you is taken. It’s not immersive; it’s distracting. The enigma is the cold story of a relationship built on a foundation of lies. It’s a bit more resonant than the actual Beowulf epic; in fact, this movie shares little with the original old English story other than its setting, character names, and the vague idea that a hero named Beowulf at one point fights a monster named Grendel. The story is a bit off-putting, preventing you from really forming any kind of attachment to the wooden mannequins parading around in front of you, waving swords, disrobing, and leaping from parapet to crag. Brief scenes that work are amazing, and these are mostly the action sequences. Certain ones near the end involving an event and creature quite different from what happens in the Beowulf epic I remember from Freshman English are stirring and make this a movie worth checking out, as long as you’re forewarned ahead of time of the gimmicks. Ever watch “His Girl Friday” (1940) or “The Mark of Zorro” (1920)? If not, you’re missing out. These two classic movies are, in my opinion, required watching for cultural literacy. If you’ve missed out, now you can watch them — and lots of other classic movies, starring Sinatra, Laurel & Hardy, Chaplin and other greats — FREE via Amazon Unbox. Act fast — the free pricing is good only until November 18. Details on my TiVoCommunity forum post.